I’m getting together with Craig Winslow – an Adobe Creative Resident – this Saturday, February 25, for one of his Light Capsule shows, this one in Los Angeles. 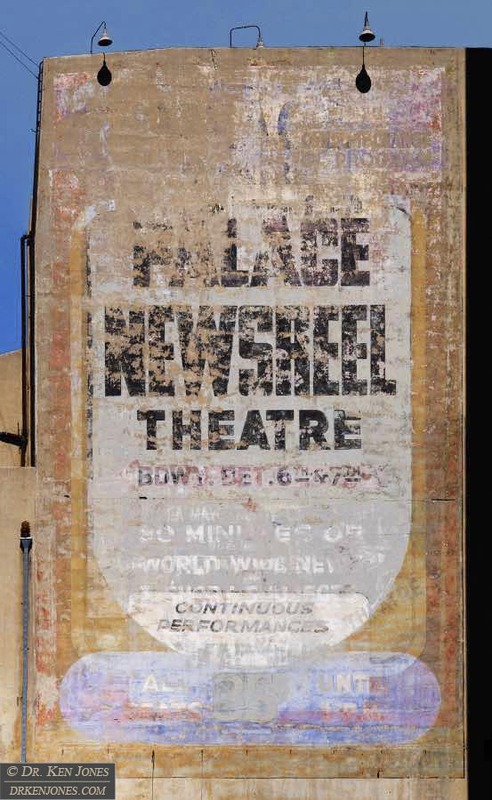 He is using one of my ghost signs, the one of the Palace Newsreel Theatre, to create a projectable image onto the building that overlays the original image and creates a “restored” effect. This should be great fun. He has an announcement on Facebook. The ghost sign is located at 633 S. Spring St. in downtown LA. I’m also supplying Craig with an image of the Hubbell Trading Post in Winslow, Arizona.